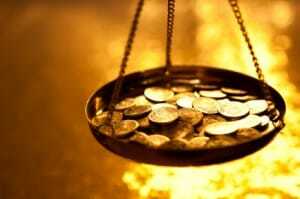 Researching gold IRA companies is a smart first step to investing in gold. There are numerous benefits to purchasing precious metals as part of your retirement planning strategy. But if you use the wrong firm, or rely on an inexperienced seller, then you could face some serious setbacks. This is why it’s so important to take your time when looking for the right company. By researching each company and asking questions, you can ensure that you’ll be working with a knowledgeable team that can provide their expertise to help you make the best investments for your financial needs. So, what makes the best gold IRA firms? Here are a few things to look for. This is perhaps the most important factor that should influence which gold IRA companies you choose, and which you avoid. The firm should have significant experience in gold investments with a track record of helping all types of clients, from first-timers to high-end investors. When speaking to a firm, always ask questions: what options they offer, what they specialize in, what their experience is, how they can help you, and so on. If you receive vague answers that reveal a very limited knowledge of gold investing, then it’s time to find another company. A wide range of investment options, such as gold coins, silver and other precious metals, is often a sign that the firm has significant experience and knowledge of the industry. Even if you are only interested specifically in gold-backed IRAs, you want to make sure that you’re dealing with professionals who will recommend the best options for your goals. As with any type of business, you should check the Better Business Bureau to see how various gold IRA companies are rated. An A+ rating typically signifies that a business is established, credible and has a clean track record with little to no customer complaints. Avoid any company that puts pressure ahead of making informed decisions. When making an investment of any kind, you shouldn’t feel pressured to make quick decisions that you’re unsure about. An ideal precious metals company is one that takes the time to educate you on your options, makes sure you understand your choices and provides strategies based on your individual goals. If you plan to rollover an eligible 401(k) or IRA into a gold IRA, then it’s important to choose a company that makes this process simple and guides you through every step. Birch Gold Group is a leading precious metals company that specializes in gold IRAs and several other investment options, including gold, silver, platinum and palladium. Rated A+ by the Better Business Bureau, Birch Gold is known for knowledgeable specialists, client satisfaction and exemplary service. No matter what type of investor you are, we will guide you to options that are the right fit for your goals, and help you plan for a prosperous retirement. Fill out the form on this page to learn more about investing in gold, or contact us at (800)355-2116.